Kayleigh and James' wedding was fantastic! St Olaves Church is a gorgeous little place down Marygate - full of character and old stonework. And of course the Museum Gardens are a must for photos! I arrived at the church and got some fab shots of the lads, who all looked amazing in their suits, top hats and canes! They were outdone only by Kayleigh who looked gorgeous! After the photos at the church and the museum gardens were done, I met Kayleigh and James at The Cedar Court Grand Hotel. This was the first time I had worked there and I was really looking forward to it! It didn't disappoint! 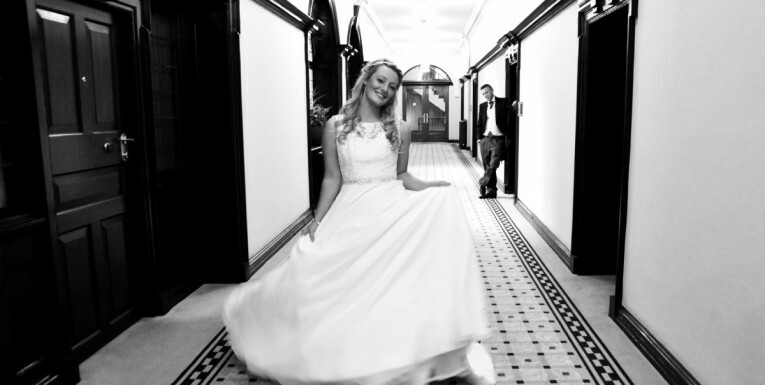 The interior of the building is amazing, and perfect for bride and groom shots on the stair case and by the window. The reception room looked amazing too. I loved working at venues I know well, but it is exciting to be at a new one, and I hope it won't be the last time I do photography at The Cedar Court Grand in York. Stunning couple and venue!